Everyone has done it at least once, and chances are you know someone who is a regular offender. After a few hours of typing away at the keyboard or a long afternoon lifting weights at the gym, a quick movement of the hands delivers an instant feeling of relief as each knuckle performs a quick crack in its place. Our knuckles are able to crack as they do thanks to a membrane that surrounds the individual joints. This membrane is called the synovial membrane, and it creates a sort of capsule that sits at the ends of each of your bones. It is there for your protection—to prevent you from accidently jamming one bone into the other. Inside the membrane is a lubricant that acts as a shock absorber. Altogether, this is what allows us to move our joints so freely, so painlessly. Without the membrane, our joints would grind together every time we moved, which would be incredibly painful. When you crack your knuckles, you are actually expanding the space between your bones and drawing the synovial fluid into the newly created gap. This is why the crack is associated with that rushing feeling. 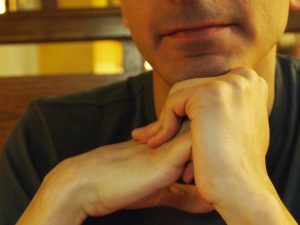 The problem is that the more you crack your knuckles like this, the bigger that gap can become and the easier it becomes to crack your knuckles again in the future. Cracking your knuckles repeatedly over the course of years can lead to a reduction in the amount of synovial fluid in the membrane. Many people worry that cracking your knuckles will lead to arthritis, and there is actually a good reason for this concern. Osteoarthritis is caused by damage to the cartilage that sits between the bones. Synovial fluid is typically reduced as cartilage is damaged. As this happens, your bones are more likely to come into contact with each other, creating that grinding potential that was mentioned above. While cracking your knuckles causes a small reduction in synovial fluid, it doesn’t create damage to the membrane itself. For this reason, medical experts have yet to establish a strong connection between osteoarthritis and cracking your knuckles. However, if you are already at risk for developing osteoarthritis, either due to medical or genetic factors, it is recommended that you avoid any hard movements on your joints, and this includes cracking your knuckles. Is cracking your knuckles the cause of your joint pain? Talk to your orthopedic hand specialist to find out.